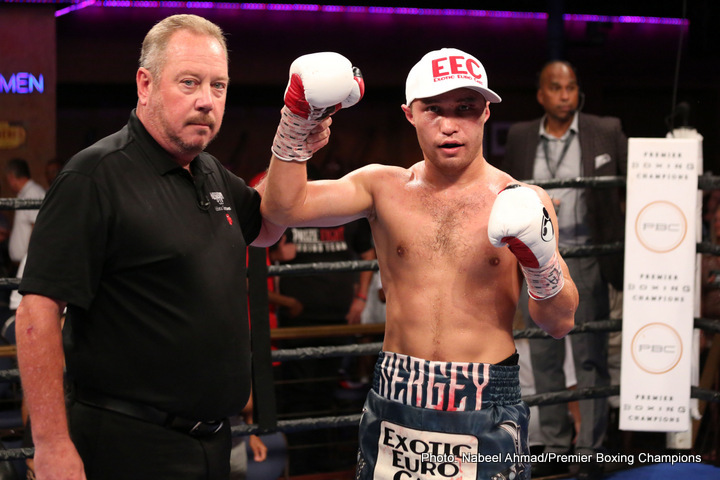 It was a good night for Russian super lightweight Sergey Lipinets (10-0, 7 KOs) who fought through a deep cut over his eye to score a rousing TKO over Nicaraguan brawler Walter Castillo (26-4-1, 19 KOs) in a Premier Boxing Champions (PBC) on ESPN & ESPN Deportes main event that further solidified Lipinets as a force to be reckoned with in the 140-pound weight class. The night of fights, which emanated from Horseshoe Tunica Hotel & Casino in Tunica, Miss., marked the third PBC on ESPN & ESPN Deportes telecast in the month of July. Castillo was unhappy with the stoppage saying, “They stopped it too early. I was still fighting. I was fine. I was not hurt. I don’t know why they stopped it. I was waiting him out and about to open up. I am a veteran. If I was hurt, I would have taken a knee. How do you stop a fight without a knockdown?